I’ve decided! 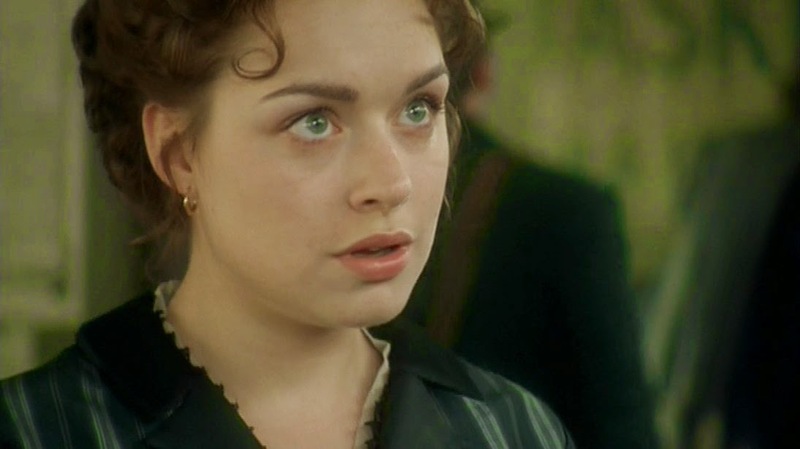 It’s high time I reviewed my favorite period drama—the ’04 North and South. I’ve actually been planning this all year and (given that about November-time I traditionally start wanting to watch it anyway and its being just over one year since my ‘72 N&S review) everything fits together quite perfectly! The ’04 North and South and I have a long history together. I’ve seen it three times in one month and I’ve gone several years without seeing it at all. (As a note, I do not recommend the three times in one month approach. Even the very best, most excellently well told story is hard pressed to keep its mystery after three consecutive viewings in a short period. Two is perfect and delightful.) Recently it had been about two years as I had thought it would be best to let it sit. To let myself sit. And, due to various causes and what with one thing and another (seeing the ’72 N&S, the ’95 P&P, the ’09 Emma and so forth) during the sitting duration I was even beginning to wonder if it was all I’d remembered. Yet I had this review I’d been wanting to write and I really did want to see it again. So just before Thanksgiving—gifted with an open afternoon and with Christmas knitting in hand and keeping one eye on the fire—I settled down to some reevaluation. And to make a long story short (and as you can already tell from the opening sentences), the mystery and thrill are entirely there again. The characters…the acting…the beauty and depth of the story! It’s all utterly amazing. This version (for certain delightful reasons) always makes me want to go over and reread the book again. The story itself is weighty, but I wouldn’t call it either morbid or depressing. With the weightiness, though, there is a dark atmosphere that’s perfectly captured here in the very streets, mill, rooms, and lighting throughout. The wardrobes are gorgeous…often somber, but beautiful. 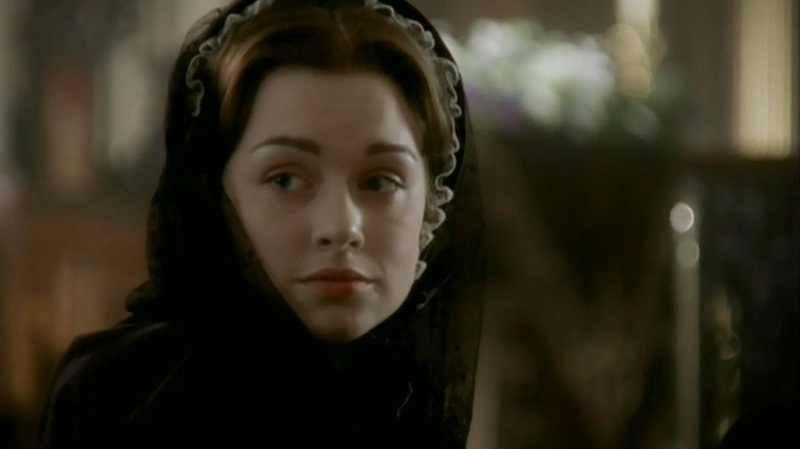 And (with the one exception of her dinner dress, which is entirely too low) I absolutely love all Margaret’s dresses. Their beauty—and how they perfectly and flawlessly meld with her character—is really beyond description. The casting is brilliant, with everyone very much in period. I think the characters most changed from the book were the Higgins family and—as I actually love what they chose to do—I’m quite happy with the adjustment. First there’s Margaret…with her regal beauty, her gentleness, her loyalty. 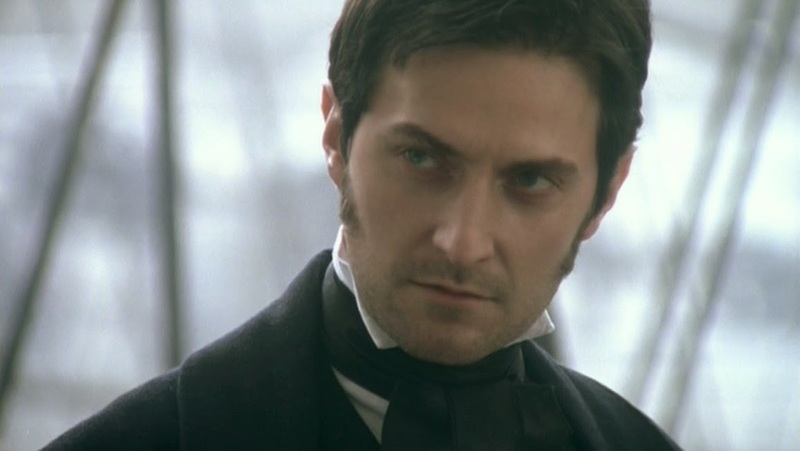 And there’s Mr. Thornton. A gentleman, yes—but first, foremost, and foundationally a true man. A man strong, passionate, honorable and upright. This adaptation captures all the themes of the story magnificently. 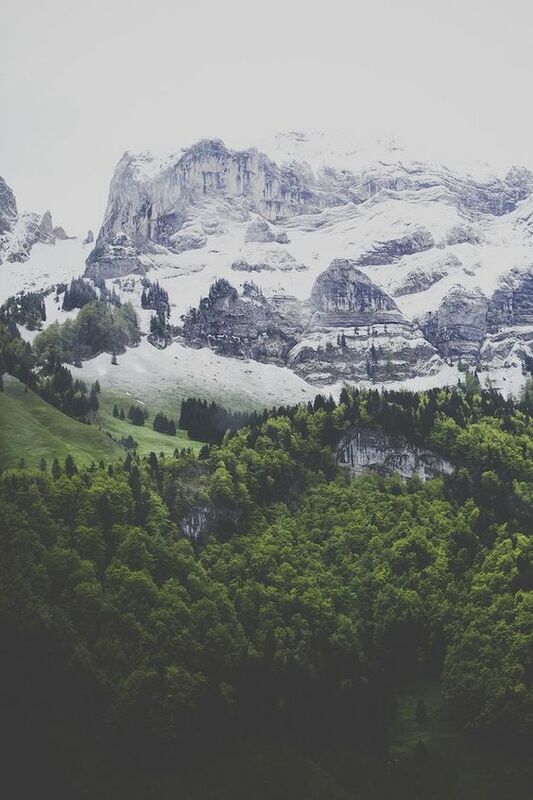 There’s a deep beauty and a deep integrity in North & South. There are undercurrents. There is reticence. The beyond places are reached where words—weakening—fall short to the ground, growing impossible. There is intensity—small moments catapulting to enormous tension. There is rich foreshadowing. 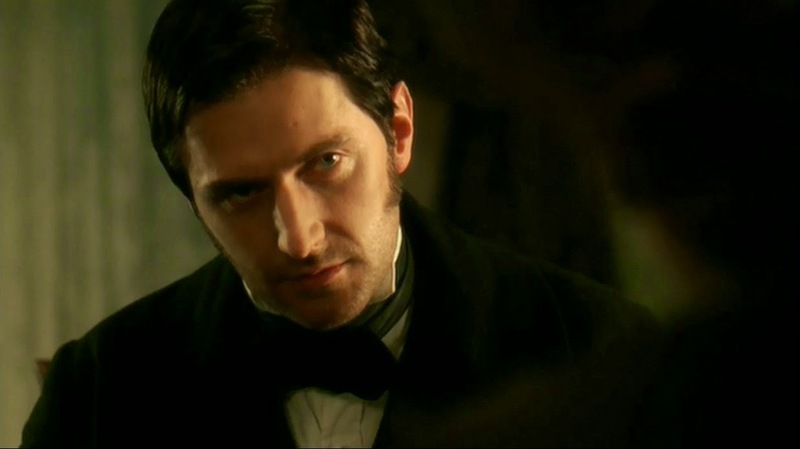 Besides all the direct dialogue between Thornton and Margaret themselves, one thing I noticed this time was how often a conversation (not gossip) between two people illuminates a third person (rather than everything being internalized within that other person’s scenes). 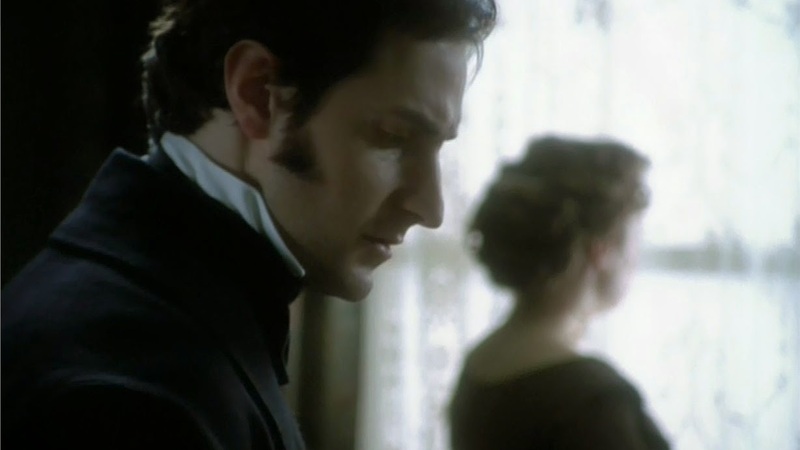 So we see Margaret’s imperious steadfastness in Thornton’s conversation with his mother after the first proposal. 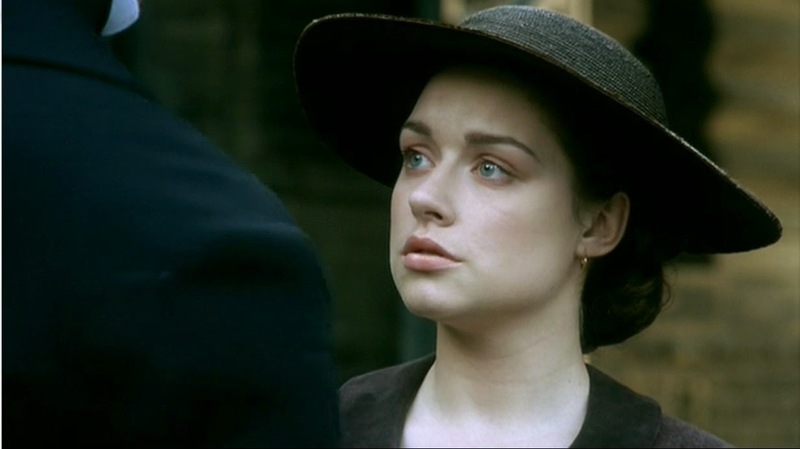 We see his incredible covering and protection of her (Margaret) after Leonards death during the few short words of her second interview with the constable. 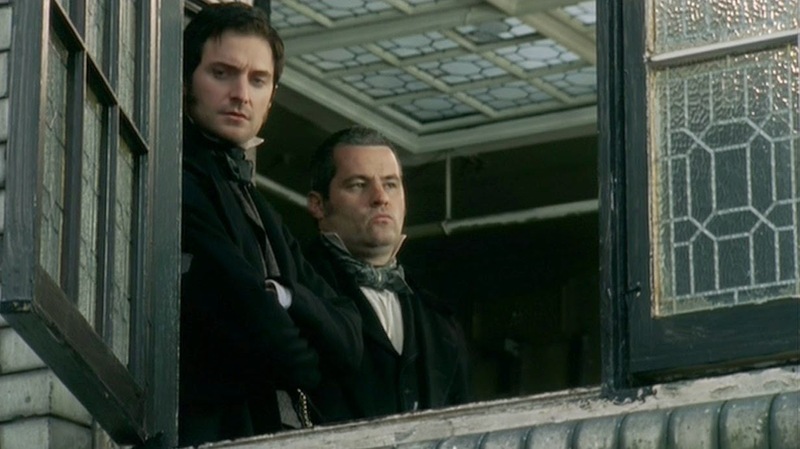 The man to man friendship between Thornton and Higgins is another highlight of the story and beautifully developed. 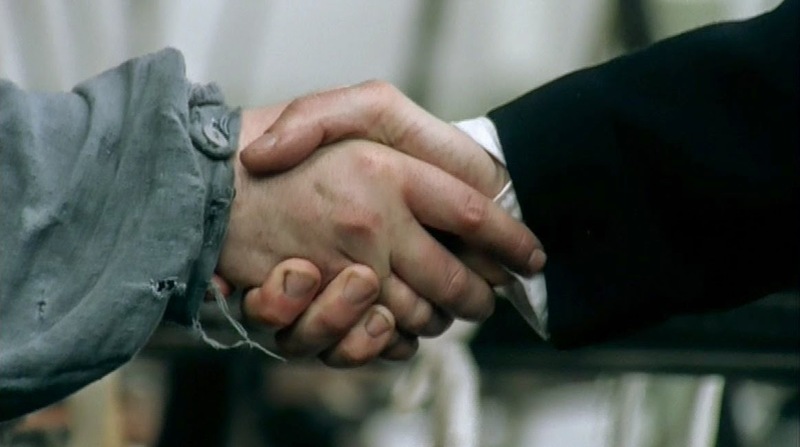 A third element I love is how they chose to focus on hands throughout: hands showing who and what each character is, what they stand for, what they choose to do or sacrifice, and also the growth and change of a relationship between two people. (And then—of course—in the ending we have a stunning culmination of the imagery.) It’s all superbly done, flowing directly and seamlessly from the tone of the story. 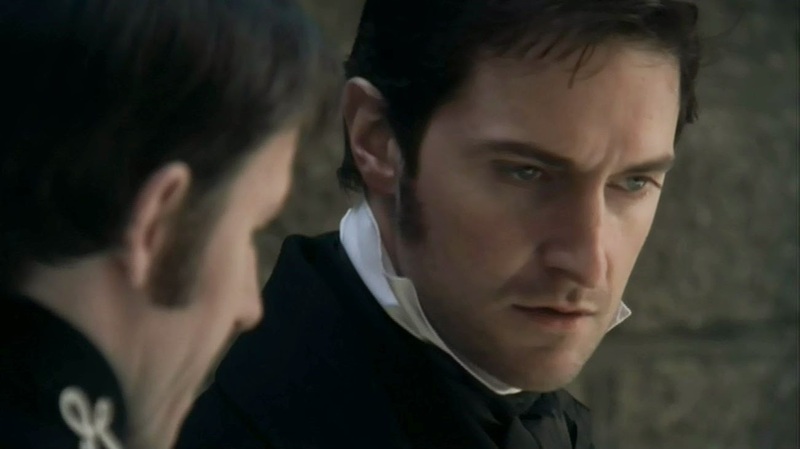 Thornton wanted to marry her when she had nothing and he everything. In the end, (money-wise) it’s reversed, but neither even thinks of it. With the ongoing tensions of truth, honesty, loyalty, protection and change running through the story, their relationship has left any mere financial quibbles far behind. Reading or seeing the story I’m always challenged by Margaret—a true and thorough lady in the fullest sense of the word. Yet an imperfect heroine, her shaping is painful and powerful through the story. 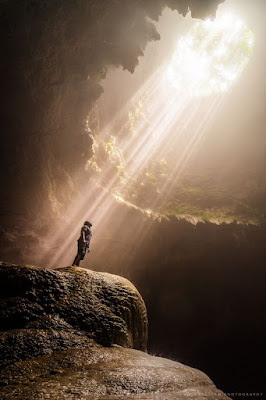 It’s the great uncertainties of life that shape us most, and also the sufferings—which is hard. So much of this—the themes of the entire story—are perfectly and brilliantly captured in the ending of the film so I’ll go ahead and discuss the two together. 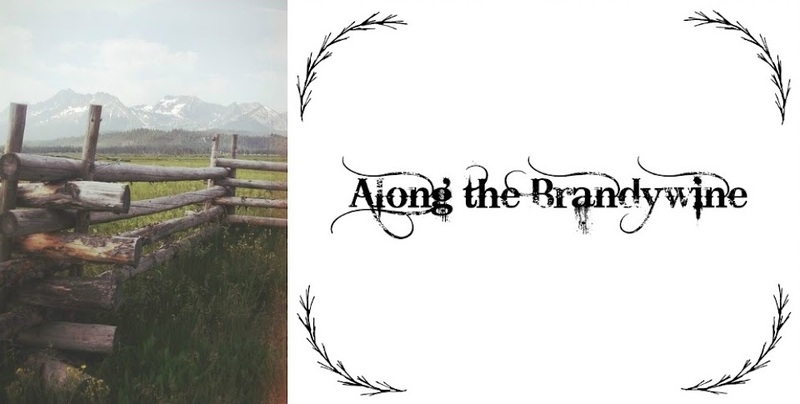 But back to the train… In the beginning, while hoping to remain settled, Margaret finds herself uprooted to a new and completely foreign world. And with that catalyst (even as she tries to remain fixed within herself) the ground is pulled from beneath her by the inescapable rushing forward of life. Everything she had deemed simple and immovable—her world, her entire family, even her own mind, opinions, and (at last) emotions—are caught in that great unstoppable impetus. From the beginning there’s a ripeness and maturity about her. Yet with that softness there’s also an inflexibility—a resistant immobility—dyed into her very character and desire for a solidity of place, for the clearly delineated safety found in habitual routine and a clearly defined social world. There’s safety in stagnation…while change can involve both danger and heartache. But real change generally comes unasked and unlooked for. Margaret learns she cannot box herself and she cannot box others in closely defined categories. Yet one of the greatest things I love about the story is that—changing—she doesn’t lose who she is. Lovely and gracious, she’s still Margaret, but—growing in humility—she learns also an active, diligent rest. So comes the train station at the end. The station—that stopping place in the forward push of life and progress—the stopping place with the dizzying potential for a full face, 180-degree turn. The stopping place encapsulating those few, tangible, epic—fully historic—moments in life that completely reorient us, changing everything. Yet again. So… yes. 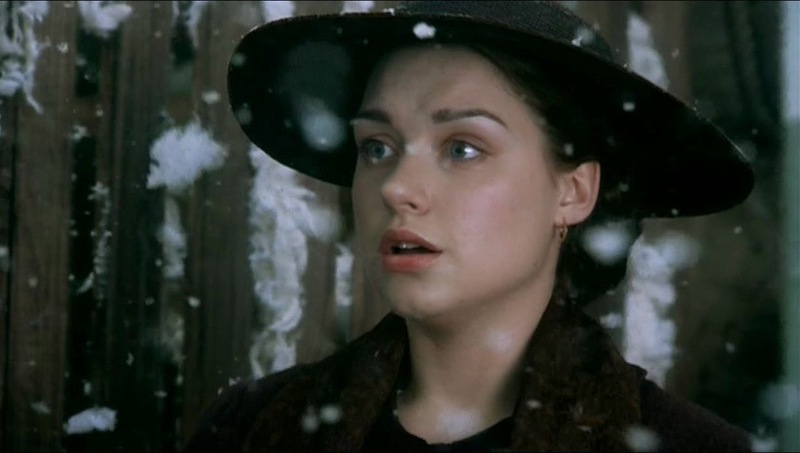 North & South: one of my favorite stories—romantic, powerful, beautiful, and entirely magnificent!! Love your review! I've heard of this version of North & South several times; I must remember to try and actually see it one day. Thank you---I'm so glad you enjoyed it! And I hope you can see it soon. ;) Thanks so much for commenting! Umm, yes. Yes to everything. This is probably my favorite review of one of my favorite movies - thank you so much for doing this!!! So. On my list of Must Sees for 2015, this is at the top. I remember your review of the Patrick Stewart version too, and want to see both. Excellent!!! ;) Honestly, I can't decide which I think you'd like better.... Of course (obviously :)) I think this one's all around amazing---and I think you'd like the drama---but Patrick Stewart's very good, too....so I don''t know. :) Can't wait till you see them! Also (contrary to my general practice), I actually saw this before reading the book for the first time, but it would definitely depend on whatever you prefer. Yes (ahem! ;)) exactly.... :) And hooray! So glad you got the book! 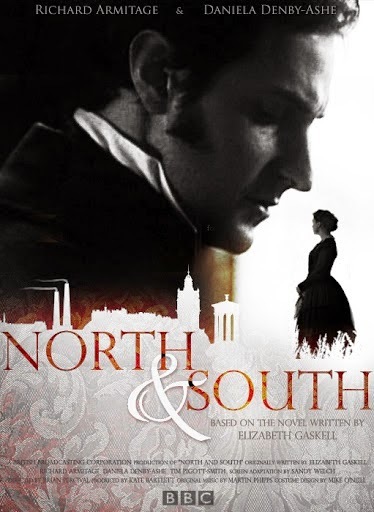 Heidi, this is a GREAT review of one of my all time favorites, North and South. You did a splendid job! 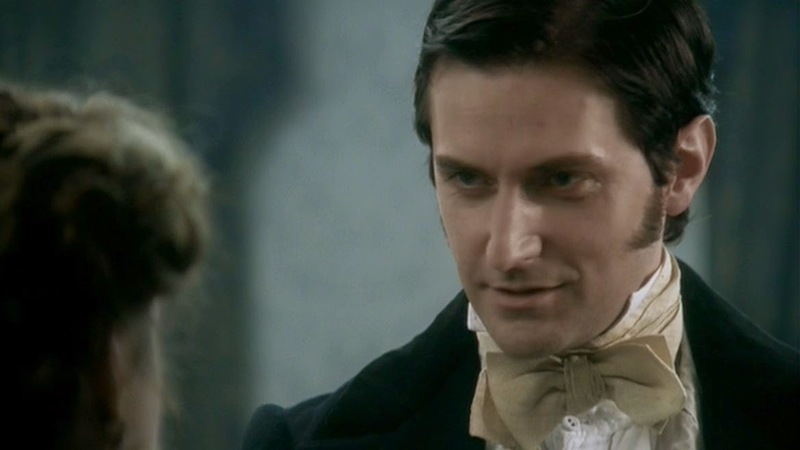 And yes, the casting was amazing -- especially Mrs. Thornton, Margret, and Mr. John Thornton. After reading the book I didn't think anyone was going to be able to capture their characters in movie form, but I was very wrong. Thanks so much!! And I love how you put it, too. The euphoria ;)---and the hugeness of the story that leaves you trying to catch hold even as you identify with its magnificence---and the rough-hewn, yet all the more brilliant shining of the characters. Yes, exactly how I feel.... It pulls your heart out. *applauds* Yes. Yes, yes. You quite literally summed up everything I love about this gorgeous story so perfectly. Thank you for the wonderful review! 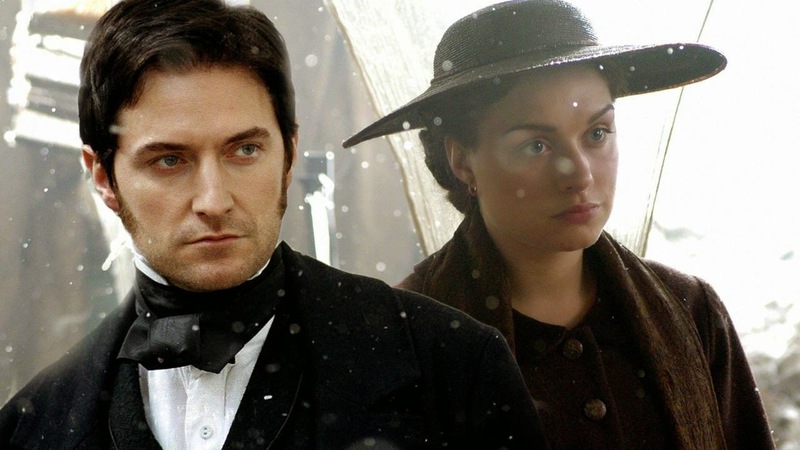 By the by, do you prefer the book or the movie of N&S? Thank you! And I'm so glad you love it, too! Oh, my goodness! Yes! I love N&S to the very depths of my soul!!! 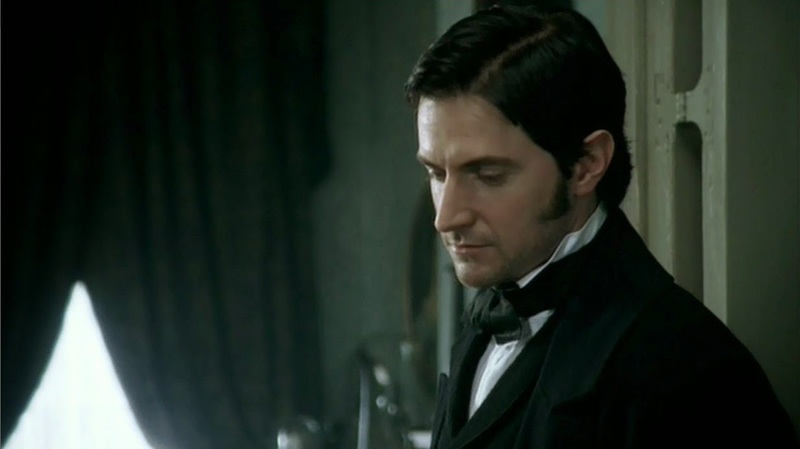 Everything about it was so, so beautiful: the costumes, the sceneries, the cast, including the amazing Mr. Armitage. He just fits in so well with the series. I love Daniela, as well. The two are amazing people. They are so good at expressing emotion. The characters they played are so perfect together, it's not even funny. John and Margaret are the sweetest couple I have ever seen in my life. I have to give them a nomination for The Best Couple. 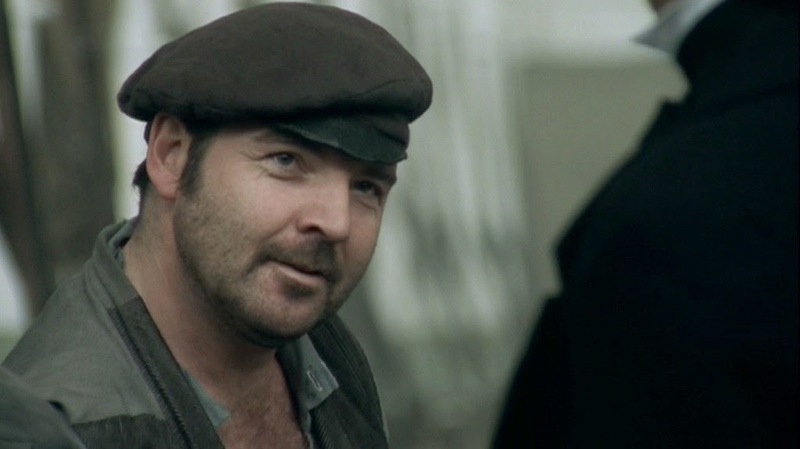 I must say that the characters of Nicholas and Bessy Higgins were also amazing. I loved those two. They are just so sweet. And so very strong. 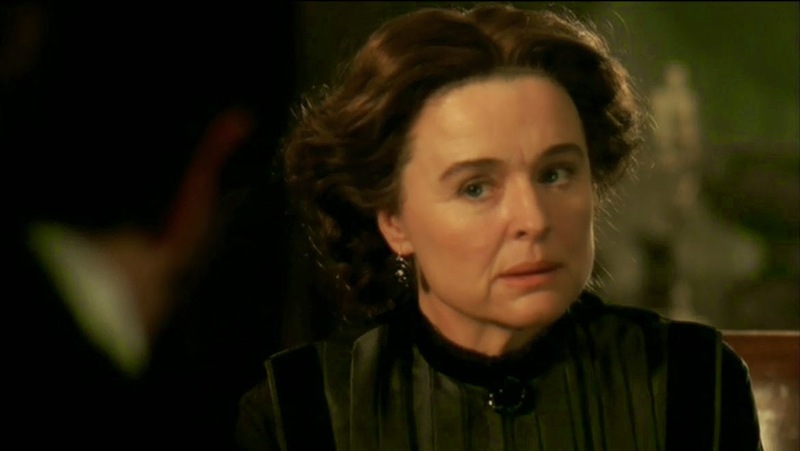 And, who doesn't love Mrs. Thornton? 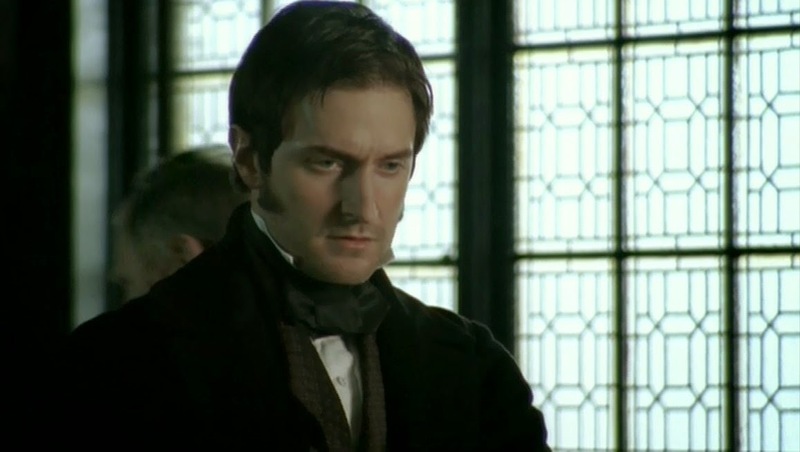 Personally, like most N&S fans, the train station scene is my favorite scene. It was so beautiful and romantic. I'm just going to leave it at that. I read the book and it, too, was amazing, especially the end part. Now, all I can think about is N&S. It's truly inspiring. I love things that take place in nineteenth-century England. As a side note, I love its fashion. Its dresses are amazing, like the ones Margaret Hale wore. I wish I had some of those vintage clothes and wear them like it's nobody's business. They are just so beautiful. And let us not forget the soundtrack by Martin Phipps. I listen to it all the time, especially the one called "Northbound Train". Every time I listen to it, I imagine the glorious scene. It's so beautiful. I shall end my comment as is. I should love to talk about my favorite show some other time!! What a delight to find your lovely long comment! And yes, indeed. Profound and hard-edged, N&S is AMAZING. I keep returning to it over and over and it's one of my greatest heart stories. ;) I love it!! I am curious, though... What was it they changed about the Higgins family? 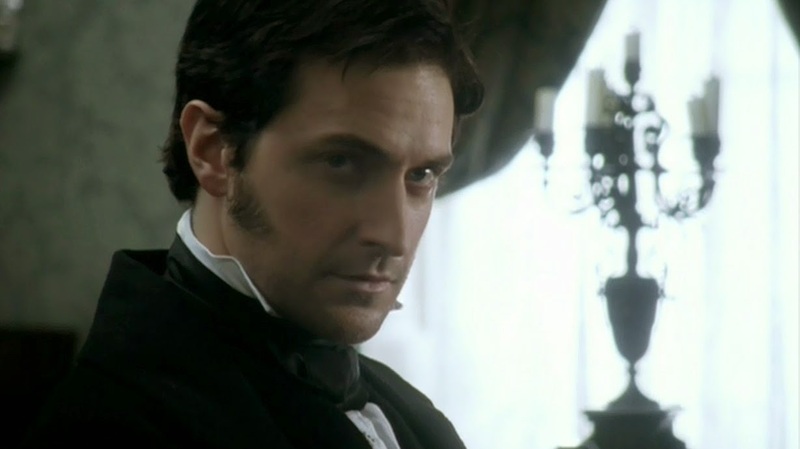 What a beautiful review of the masterpiece that is the BBC's adaptation of N&S. I've read a piece that analyzed how the film made symbolic use of characters looking out windows: representing their individual perspective on events. There so are many great window scenes. But I loved how you pointed out the recurring visual emphasis on hands. The resolution of the romantic separation is resolved with hands. I think Margaret and Thornton were searching for home. And found it in finding each other.